 Homy Inn North Point is located in the North Point area of Hong Kong. Just 5-minuts walk from North Point MTR station. With its convenient location, the hotel offers easy access to the city's must-see destinations. Take advantage of a wealth of unrivaled services and amenities at this hostel. All rooms include a flat-screen TV. Every room is equipped with a private bathroom. For your comfort, you will find slippers and free toiletries. Free Wi-Fi provided in common area. Besides, the hostel's host of recreational offerings ensures you have plenty to do during your stay. When you are looking for comfortable and convenient accommodations in Hong Kong, make Homy Inn North Point your home away from home.